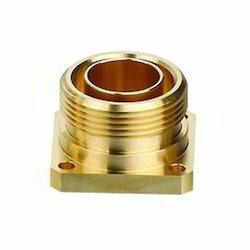 Supplier & Manufacturer of Brass Electronics Components. Our product range also comprises of Brass Components, Brass Inserts and Brass Meter Components. Banking to our industry experience, we are offering a wide variety of Brass Electronic Components. Manufactured in compliance with the set industrial guidelines and using the highest grade of raw materials, the offered product is one of the finest that is available in the market. 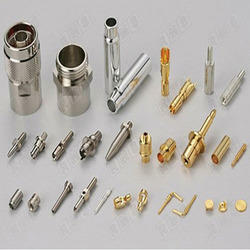 Used in a number of industries for several mechanical purposes, these components are reasonably priced. Adhering to patron-oriented policies, we are involved in providing a large collection of Brass Electronics Components in the market. Our offered products are designed using modern technology and best quality components. In addition to this, the provided products are highly durable, robust and resistant to corrosion and water. 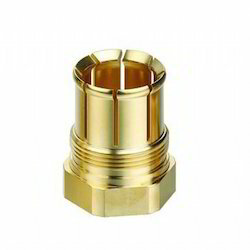 Being one of the top industries of this domain, we are actively engaged in offering a wide assortment of Brass Fiber Adapter to the customers. The offered products are sturdy in construction and have high tensile strength, long life; excellent finishing and reliable performance. In addition to this, these products are manufacturing as per customer’s requirement. In order to meet the precise requirements of the valued patrons, we are engrossed in providing an exclusive array of Brass Fiber Adapter to our respected customers. The offered range is provided to our prestigious clients after taking into consideration their precise requirements. 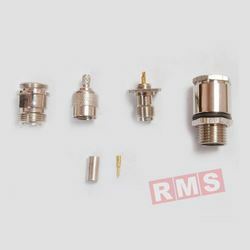 Manufactured using ultra-modern machines, we offered these adapters in different size and specifications. Apart from this, we are offering these products at very reasonable rates.